Introducing Ken.Will.Win, originally from Guyana, now living in Canada, where he has begun to build his career in music. Ken.Will.Win sees himself as a Canadian dancehall/hip hop artist. He was born in Guyana and moved to Canada in 2010. Alongside his career in music, he is also currently studying for his Bachelor’s degree at university. Ken.Will.Win’s upbringing in the Caribbean has had a profound effect on his career, hence his preference for dancehall music. He does not see his music as being defined by one particular genre saying “if the music don’t make you wanna groove, I don’t want to do it” opposed to defining himself in one genre. He tries to infuse his music with hip hop and dancehall influences, in a similar way to how Drake was able to bring dancehall into hip hop. His main inspirations are Bob Marley, 2 Pac, Beenie Man, Ma$e, Marvin Gaye, Beres Hammond and Garnett Silk, so Ken.Will.Win’s aim is clearly to be at the top. His music is quite groovy and edgy, being quite different to a lot of dancehall that is currently being produced. With examples like ‘Love You Down’ and ‘Get To Know You’, clearly infusing a whole range of influences opposed to just dancehall. Ken.Will.Win hopes to see more Guyanese artists on the international scene, he wants there to be more opportunities for talented people in Guyana to be able to pursue their dreams on an international stage. He summarises himself saying “it’s hard to say who I sound like as other artistes as well as myself could not come up with another artist who my voice sounds like. While I have had my own challenges since I’ve started recording music. I know that I am on a mission so I keep pushing through”. He is currently working on the long awaited single ‘One More Night’ which is scheduled to drop shortly. Ken.Will.Win shows a lot of promise and keeps trying to push himself towards the international stage, representing a country in Guyana that does not jump out as one of the musical powerhouses on the world’s stage. 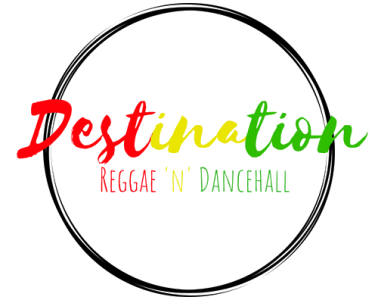 Ken.Will.Win is aiming high and staying humble as he pushes himself forward and we at Destination Reggae ‘n’ Dancehall have every hope that he will be able to achieve what he is aiming towards. Check out more of Ken.Will.Win’s music below.